When you think about fairies, names like The Fairy Godmother or Tinkerbell instantly come to mind. They are part of most children's childhood and are often associated with magic, femininity and beauty. Perhaps the most outstanding thing about most fairies is the fact that they are white. This has been the case for decades. However, many artists are seeking to change this narrative by reimagining fairies to reflect diversity. 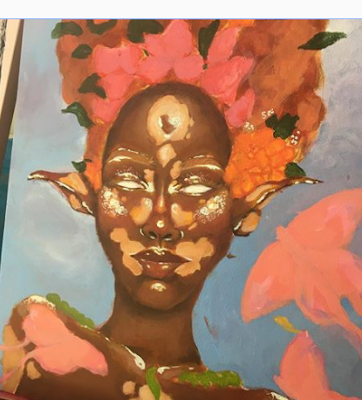 Among them is 18-year-old Sumaiyah Jones, an artist that reimagines fairies as black women. It's hard not to fall in love with her work therefore it comes as no surprise that she has gained more than 70k followers on Instagram! 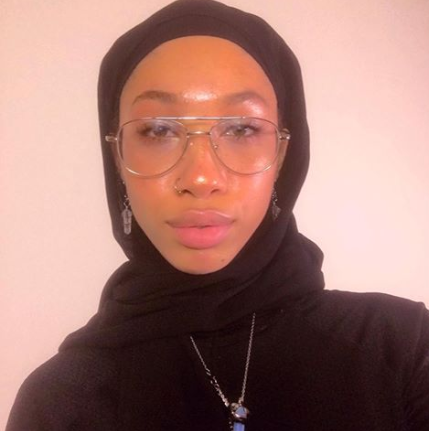 Sumaiyah, also known as the Freckled Hijabi, started painting at the age of 14. She found herself leaning more towards drawing women. It's what made and still makes her happy. Her main focus is trying to bring out inner beauty in women and specifically showing women of color in a different light. 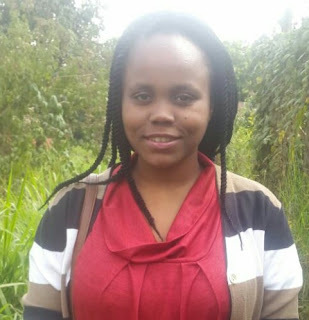 Like most young girls, Sumaiyah grew up reading and obsessing over fairies. However, as she noted in one particular book, there were no women of color, except for one baby. She also noted that when she was volunteering in younger kid's classes, they would color themselves white despite them being of color. The kids avoided coloring themselves in their actual skin tones. Through her observations, she concluded that the kids did that simply because they didn't see themselves represented in art and most children's books. 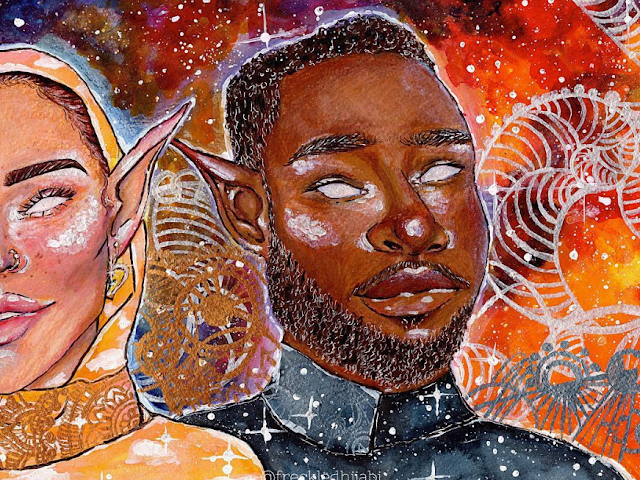 This compelled her to try and fill an important gap by painting more people of color so that kids could see themselves represented in art too. This later evolved to her re-imagining fairies as women of color. If you take a look at Sumaiya's artwork, you'll instantly notice that it's different. Apart from depicting fairies as women of color, she also doesn't include their eyes. Instead, she replaces them with vibrant colors, because to her, this shows what is radiating out of the woman and acts as the window to her soul. It's a message that one shouldn't be judged based on their physical appearance but rather from what radiates from the inside. Sumaiyah is also seeking to show more diversity within the black community. She's noted that when most people paint black women, they paint them in a certain way over and over again. The common picture is that of a curvy woman with an afro and a certain skin shade. Although this isn't a bad depiction, there's more to black women than just a curvy body and an afro. She wants to show that apart from being fierce and independent, black women are also sweet, delicate, radiant and kind. We cannot all fit into one stereotype. There's even more diversity within the African American community itself and we should appreciate it. 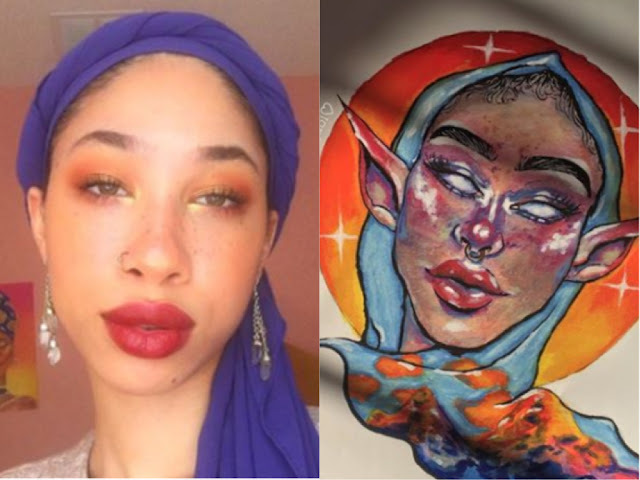 Apart from her painting, Sumaiyah is working on a book where she aims to have a different depiction of the fairy realm. To her, fairies should also be diverse and when people create books about mythical creatures, everyone should be included. This is a first step towards creating content for children that contains the diversity she didn't see enough of while growing up. What do you think about Sumaiyah's work?